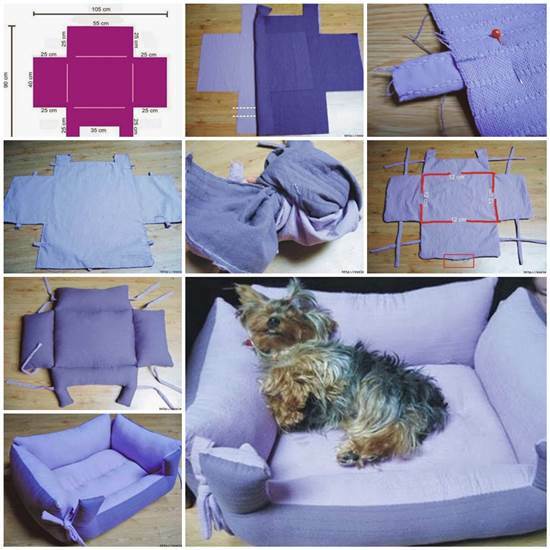 Here is a nice DIY project to make a couch pet bed. It is wonderful for the great little member in your household. Look at how comfortable and satisfied this cute little dog is when it is sleeping on the pet bed in the photo. Let’s make it for our pets so that they’ll have a nice place to rest and relax. You can choose different colors for fabrics to create your own style. 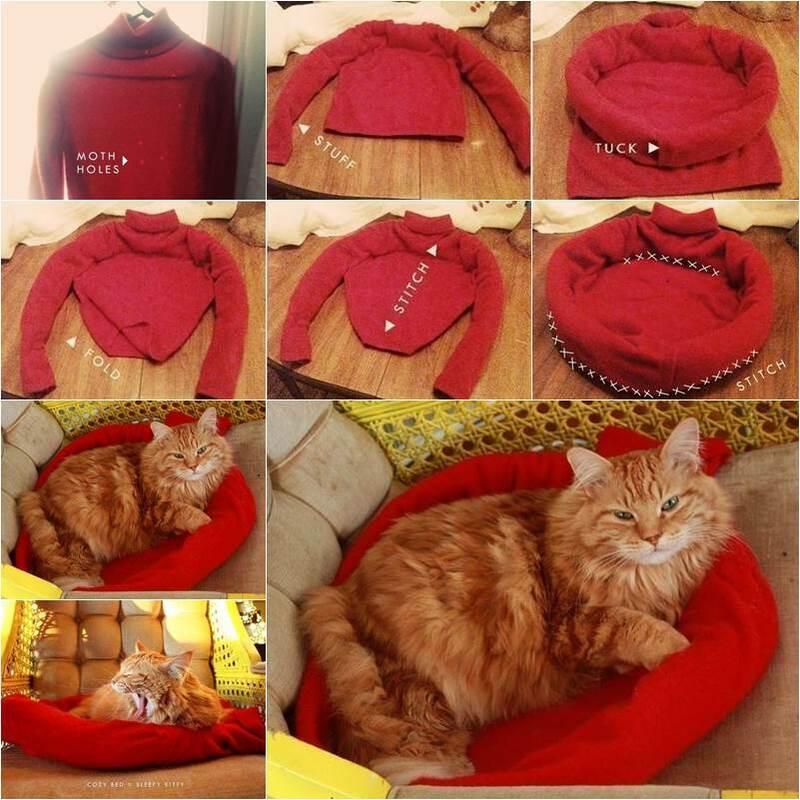 You can easily turn your old sweaters into cozy pet bed. Click the links below for the tutorials.